Somebody on your nice list loves Pensacola. Whether they are a dedicated vacationing beach bum or fourth generation resident, you can help them celebrate their favorite place on earth. Instead of a generic gift card, give a gift that says you love Pensacola as much as they do! Here are some of the most Pensacola customized gifts coming out of Santa’s sandcastle workshop. 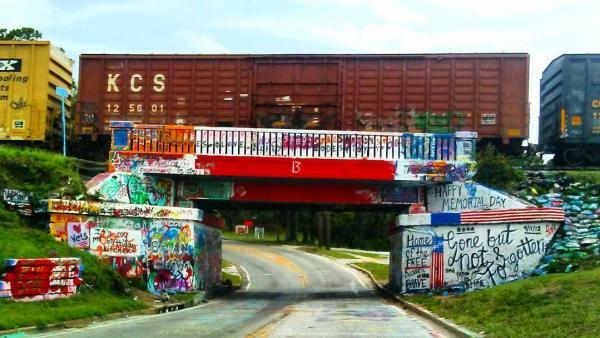 One of Pensacola&apos;s most recognizable, yet ever-changing, landmarks is the 17th Avenue train trestle, also known as the Graffiti Bridge. Generations have left their mark there to commemorate birthdays, memorials, community events, social messages and random thoughts. The paint job on the bridge can often change two or three times over a 24-hour period– you never drive under the same bridge twice. Local artist, photographer and instructor Rachael Pongetti captured the bridge and what it says about Pensacola by faithfully photographing it every day for a year. The resulting book, “Uncovering the Layers: The Pensacola Bridge Project,” lets readers see day-by-day changes with the turn of a page. It’s a great gift for fans of pop culture, street art and the quirkier side of Pensacola. The book is available online and at several local retailers listed on the website. Believe it or not, sometimes people leave Pensacola – whether it’s after a vacation or they have moved another city. Why? We don’t know. But we do know that one of the things they miss the most is our fresh seafood. With a little dry ice magic, Joe Patti’s Seafood can make holiday dreams come true! Joe Patti’s can pack your shrimp, snapper or mullet on dry ice and ship it anywhere in the country to give a special landlocked someone a true taste of the Gulf. Museum visitors stare in rapturous awe. Pensacola natives remember it fondly from childhood field trips. It’s the mummified cat at the T.T. Wentworth, Jr. Museum! While you can’t buy the cat, you can buy an "I saw the petrified cat" T-shirt featuring artwork of our beloved, bizarre, historical mascot. If you have a strange and unusual history buff on your list, this is the hottest gift game in town! The creepy, crusty cat is part of T.T. Wentworth’s collection of oddities, which also includes a desiccated piece of Edison’s birthday cake and an elephant bone of note only because it was once mistaken for a dinosaur bone. The T.T. 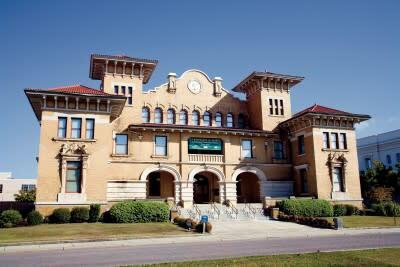 Wentworth, Jr. Museum is part of Historic Pensacola. The hot pink cat shirts are available in the museum lobby. What is more Pensacola than our Blue Angels? You can get official Blue Angels merchandise at the Flight Deck store, located inside the National Naval Aviation Museum, recently ranked one of the top five museums in the country. Or you can order online! They have Blue Angels everything, from kites and model kits to pint-size flight suits for kids to gifts for grown-up fans such as shot glasses and bomber jackets. Whether someone has a special memory of visiting Pensacola for an airshow or is a longtime or lifetime resident, you can&apos;t go wrong with the Blues. Gift baskets make great gifts – they’re fast, easy and there&apos;s one out there for just about anybody. But prefab baskets often have a couple of questionable items that may fill out the cellophane, but end up at the back of the pantry until they’re thrown away in July. (What are water crackers supposed to do, exactly? Because, ugh.) Just as fast and easy? 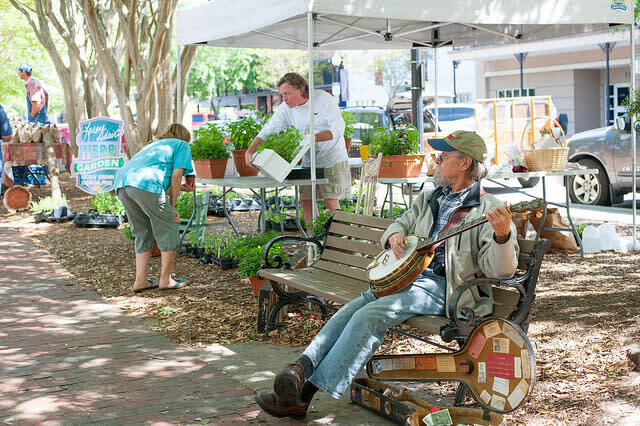 Pick up local coffee, pecans, honey, jams, jellies, jewelry, crafts, arts and more at the weekly Palafox Market in Downtown Pensacola. When you make it yourself, there are no bummers in your basket! The market is open every Saturday, rain or shine, and is a great way to support our local agriculture and arts while showing off your Pensacola pride to your lucky recipient. Eat, read, wear, celebrate! This holiday season, let someone you love unwrap a little bit of what makes Pensacola like nowhere else in the world!